Marion Binder joined LALIVE in 2017. 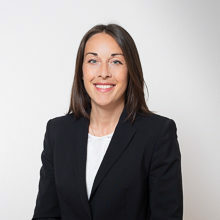 Her main areas of practice are domestic and cross border litigation, private clients as well as corporate and commercial law. She also advises private clients on inheritance law matters. Before joining LALIVE, Marion Binder worked as a law clerk at the District Court of Dietikon (2013-2016). During her studies, she worked as a secretary at a Zurich law firm (2010-2011) and at the District Court of Dielsdorf’s inheritance office (2008-2009). Marion Binder graduated in 2013 from the Universities of Zurich and Lausanne (Joint Degree Master of Law).